Have you seen some of the latest items added to taylorjoelle.com? Parents of boys will be really happy about these! 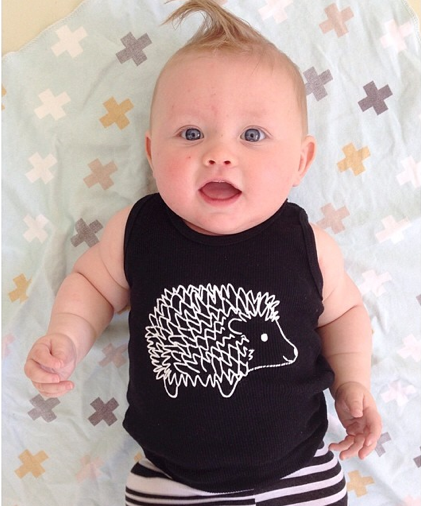 Gotta love this Taylor Joelle hedgehog! We love it so much that now we have put it on a tank! American Apparel black ribbed tank. American Apparel V neck tees. 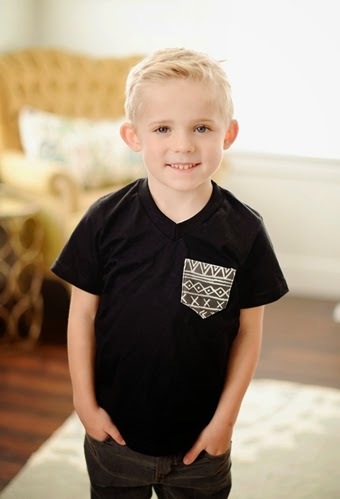 We’ve sewn in an adorable pocket in each of these tees. The pocket fabric is made from super soft organic cotton. Made in the USA. Simple and definitely hip. 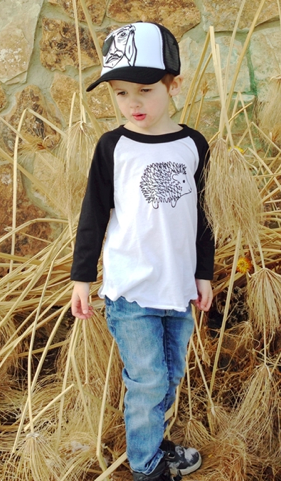 Black and White American Apparel Baseball Tee with a Hedgehog screen print in the center. Made in the USA. 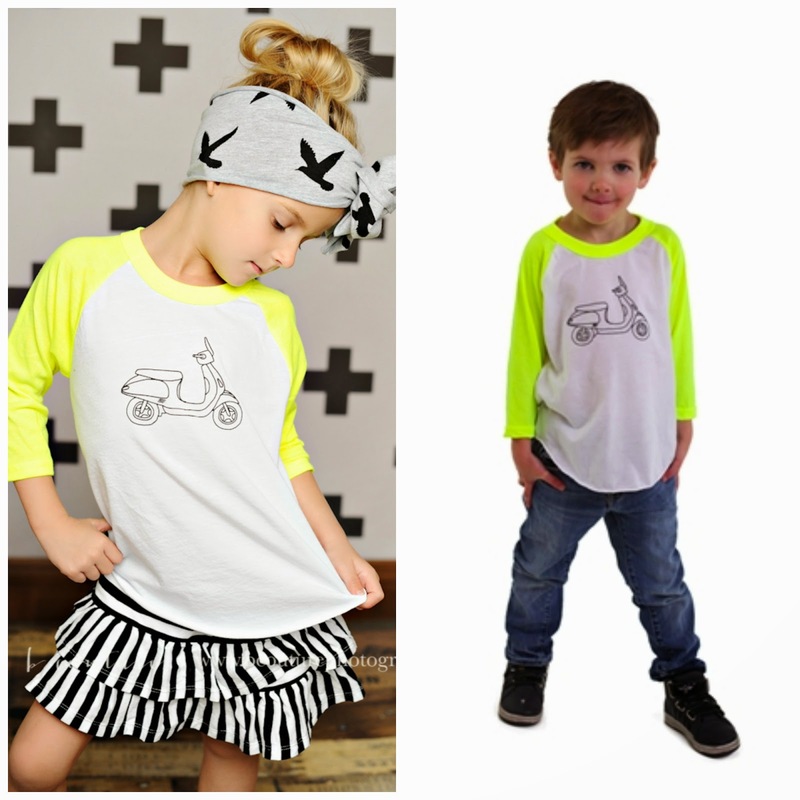 Neon and White American Apparel Baseball Tee with a scooter screen print in the center. Made in the USA. ON SALE THIS WEEK FOR $13!!! Boy dress are also so cute as always!!! !